2006, video, 6 min. 2 sec. Listening to the Song “Jerusalem of Gold,” we watch Arab workers on the construction of the New Museum, built to become an annex to the memorial site Yad Vashem in Jerusalem. The beginning of the film shows the Avenue of the Righteous Among the Nations, but the focus is shifted from the usual perception. We instead follow one worker walking down the avenue, doing his prayers during a break, and returning to the cement machine to continue his construction work. The whole film is set to the song of Naomi Shemer, released shortly before the start of the Six-Day War. A hymn to Jewish exile and the longing for Jerusalem, the song became a battle song in that war, the third Arab–Israeli War, in which Israel gained control of the Sinai Peninsula, the Gaza Strip, the West Bank, and the Golan Heights. The song for some Israelis became an unofficial second national anthem. The results of this war affect the geopolitics of the region to this day. The video How I Changed My Ideology in the Prague Market documents the outward change of the artist’s appearance from his understated casual look into a fully equipped neo-Nazi character. We accompany the artist on his walk across a market in Prague that is mainly run by Asian immigrants. Yaffe buys himself, piece by piece, combat trousers, a bomber jacket, brass knuckles, and has his hair shaved at a hairdresser’s. It’s a work about symbols of ideology, the power of attribution by clothing and insignia, and also containing the provocation of a Jew becoming a neo-Nazi on a market run by immigrants, who are themselves exposed to a constantly growing racist and xenophobic atmosphere in the Czech Republic as in many other European countries. The immigrants are arming their enemies: It’s a cruel paradox that for existential, economic reasons the immigrants are those who provide their potential enemies not only with outfits and gear, but even with weapons if requested, as the curator Rael Artel once put it. Shlomi Yaffe (*1973 in Tel Aviv ), studied art at the Avni Institute of Fine Arts, Tel Aviv, the Academy of Fine Arts and Design, Bratislava, the Bezalel Academy of Fine Arts and Design, Jerusalem and the Faculty of Fine Arts, Brno. He lives and works in Prague. 2010, video-audio installation, 17 min. 15 sec . “Bourekas films belong to a popular Israeli film genre from the 1960s and 1970s, described as a peculiarly Israeli genre of comic melodramas or tearjerkers… based on ethnic stereotypes” Ha’aretz film critic Uri Klein. Bourekas are expressive comedies with attributes of melodrama, which focus on depicting relations between jews with an arabic, Mizrahi and jews with a European, background, Ashkenazi. Their way of portaying social features of the inhabitants of an East European Shtetl can be traced back to the influence of historical Yiddish literature. 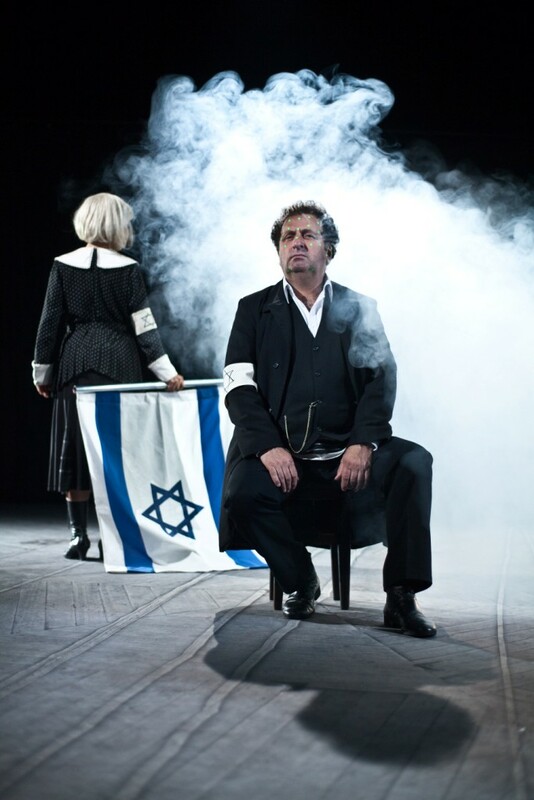 Polish Bourekas is a cooperative project of Tamara Moyzes (Ashkenazi Jew) and Shlomi Yaffe (Mizrahi Jew) in which they use the typical setting of Bourekas films and Yiddish literature to address different Jewish cultural stereotypes and to track the negation of the Jewish diaspora as an important ideological element of the modern Jewish movements, especially the Zionist movement. For their film, they combine the comedian aspect of Bourekas with paradigms from the Yiddish literature and theater which are reflected within the stories of life of contemporary Israeli figures, with the help of animated scenes. The protagonists of the films are three personalities with a Mizrahim background: Yigal Amir, Mordechai Vanunu, and Tali Fahima. All three of them represent in a very different way oppositional positions towards the State of Israel as well as, according to the artists, to the historical ideology of Zionism. 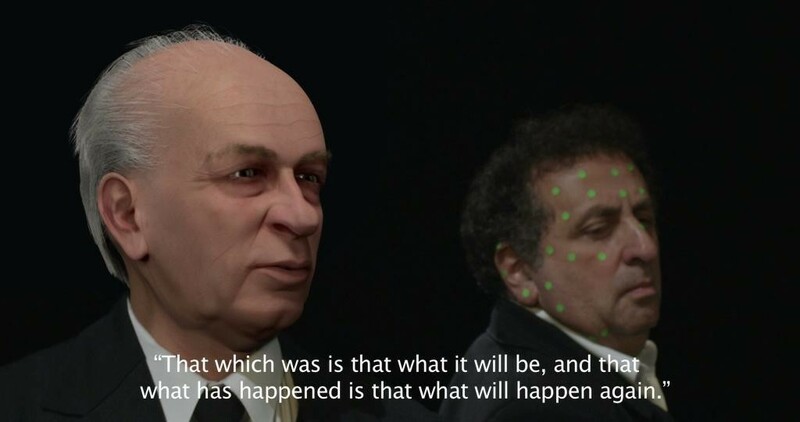 In the series of short films using 3D face animation technologies, three historical events are portrayed. The heads of the two performer are either partially replaced by animations indicating the historical personalities they are performing, or seen with green tracking points visible on their real faces.The film contains yet another ideological layer referencing the secular Jewish socialist Bundist movement, one of the major secular Jewish political forces in Poland before the Shoah. After the war, the International Jewish Labor Bund was founded in New York, affiliated with groups all over the world. 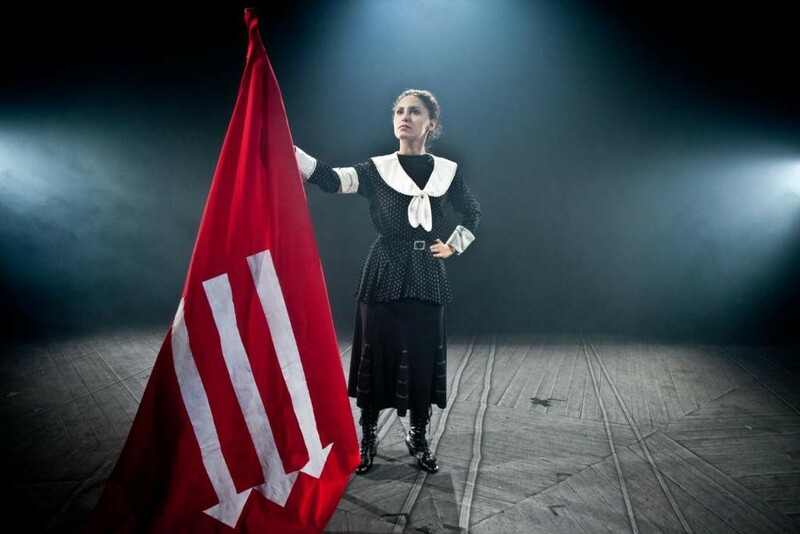 The movement, strongly based on the values of acting from within given societies, called doikayt (lit. “hereness”), formed a strong opposition to the notion of an alleged ancestral homeland and new nation as pursued in Zionism.